It showed that total government debt reached an estimated 109 per cent of gross domestic product (GDP) at the end of the 2016/17 fiscal year, a 12-year high and more than 30 per cent higher than four years earlier. With this limited fiscal space, relying on public resources to fund much-needed infrastructure investments will no longer be a viable strategy to meet the country’s needs, and there will be a need to shift to a greater reliance on the private-sector, the report said. According to Ashish Khanna, the bank’s programme leader for sustainable development and infrastructure and main author of the report, private-sector involvement in infrastructure could mean greater savings and cheaper net costs because the private sector was more efficient than the public. Talking at a round table discussion in Cairo earlier this week, he said that the misperception that the private sector would provide more expensive services needed to change. The shift towards greater private-sector involvement was also needed because the only way for the government to direct more funds towards investment in human capital, including health, education or social protection, was by freeing it from investing in infrastructure, he said. The report examines the potential for transport, energy, agriculture and water investment, four sectors that the government itself selected. It shows that the government has already begun steps towards reform, but there needs to be an overall framework that connects the reforms together. One step that could help, according to Khanna, would be the involvement of the Ministry of Finance in strategy and project cycles from the start, not only when it is time to sign contracts. The report highlights losses incurred as a result of the lack of infrastructure in various sectors. In the area of agriculture and agribusiness, which have the highest potential for job creation, the report estimates untapped export potential at $10 billion. It said water and land-resource management were two key constraints that prevented Egypt from realising its full potential in the sector. Agriculture accounts for more than 30 per cent of Egypt’s GDP. In the area of transport, the report said that this accounts for around $180 billion of the total investment gap. Bringing Egypt’s transport sector up to global standards would require between three and five per cent of GDP, whereas the most the public sector has ever reached is about 1.2 per cent of GDP, it said. The transport sector includes ports, airports, railways and inland waterways, and related logistics infrastructure, as well as urban transport in Greater Cairo. 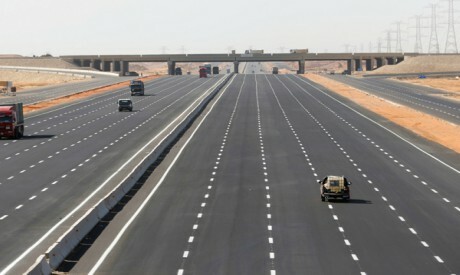 Improved infrastructure in these areas could enable Egypt to become the trade hub of the Eastern Mediterranean between Asia and Europe via the Suez Canal as well as between the Mashreq and Maghreb (the East and West of the Arab world), and between Europe and the Arabian Peninsula via land. Moreover, improvements in transport would have positive spillover effects on other sectors. A one per cent decrease in transport costs increases trade by one per cent and potentially minimises agricultural waste by 30 per cent, the report says. It identified the country’s institutional structure as a key constraint in this sector. In the energy sector, the report said infrastructure investments were needed to attain the strategic objective of achieving energy security through diversified energy supplies, including the generation of renewable energy and the use of Egypt’s geostrategic position to become a regional gas hub. For the water sector, the government is targeting sustainability and achieving water security through a new tariff structure and the widespread introduction of desalination. The United Nations predicts that by 2025 Egypt may reach an “absolute water crisis” of less than 500 cubic metres of water per capita, which would significantly affect agriculture, as it accounts for 86 per cent of water use. However, according to Khanna, with the choice of suitable crops that are not water intensive and with the use of appropriate technology, Egypt’s agricultural productivity could improve while at the same time saving water. The report said Egypt had taken important steps towards improving cost recovery, but efforts needed to be complemented by improving collection efficiency and reducing both technical and commercial water losses. While each sector has its own constraints, the report identified several cross-cutting challenges that needed to be tackled for these sectors to take off. These include the efficient and transparent allocation of state land and better land registration to unlock land-based financing. The government also needs to improve transparency and competitiveness in infrastructure delivery by addressing procurement issues, the report says, suggesting the establishment of independent appeal mechanisms for procurement and stipulations on transparency and disclosure. Opening the construction sector to private-sector players was another recommendation in the report. “The construction sector is currently characterised by low growth and the dominance of state-owned enterprises [SOEs],” the report said. The government also needs to strengthen the Egyptian Competition Authority (ECA) to enforce antitrust rules and advocate against inconsistent interpretations and applications of procurement rules, the report added. Also among the recommendations of the report was for the Ministry of Finance to have a key role in reforming SOEs, particularly with respect to increasing transparency, improving accounting and financial performance, and creating independently creditworthy entities that can access commercial equity and debt without sovereign guarantees. If lenders are confident in the state-owned companies, they will not ask for sovereign guarantees, Khanna said, pointing out that the government has committed to publishing financial statements for state-owned companies by the first quarter of 2019. Opportunities should be created to expand the supply of long-term finance for infrastructure, the report said. Khanna said that as public finances improve and the government becomes less reliant on the banks for domestic borrowing, this would free up funds that the banks could redirect towards infrastructure investment. The country was also hungry for good investments, he said, pointing to the success of the collection of the equivalent of around $8 billion in one week to finance the New Suez Canal in 2014. The report highlighted five opportunities that have the highest potential to mobilise private capital and investments. These include projects to transform Egypt into a regional oil and gas hub, solar energy auctions, desalination projects, projects related to transforming Egypt into an agribusiness hub, and projects related to multimodal freight logistics. Solar energy is one of the country’s success stories. In 2019, 29 solar projects will be financed as part of the Benban Solar Park in Upper Egypt, the biggest solar installation in the world. To help in financing, the report suggests that the Ministry of Finance or the Central Bank of Egypt (CBE) could offer wholesale schemes providing risk-sharing or refinancing facilities to domestic commercial banks engaged in long-term infrastructure financing. According to the report, during the period 2007-2016, Egypt closed 14 international project finance transactions worth $11.8 billion, but only two of these (the Damietta International Port and New Cairo Wastewater) were in the infrastructure sector. All other project finance transactions closed during the last decade were in heavy industries, manufacturing, and oil and gas, it said. Project financing up to now has been restricted due to a lack of creditworthy counterparties and a robust pipeline of bankable projects.